A considerable part of our lovely job is to observe, feel and predict trends so that we can have a proper understanding of what’s going on in our industry. 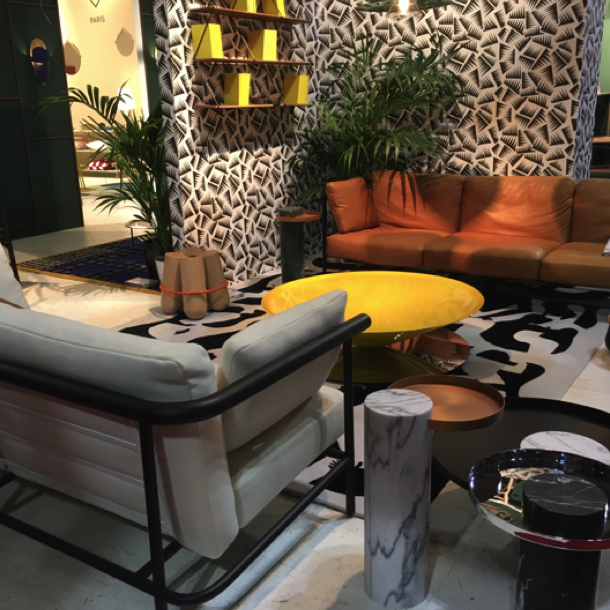 This is why we constantly attend furniture fairs in London and abroad. We are pleased to share with you, our favourite top 5 interior design trends for this year. In terms of style, we will see a prevalence of ‘Chic Opulence’ – a crossover style applying luxurious materials to design without making the whole appearance too pompous or heavy. 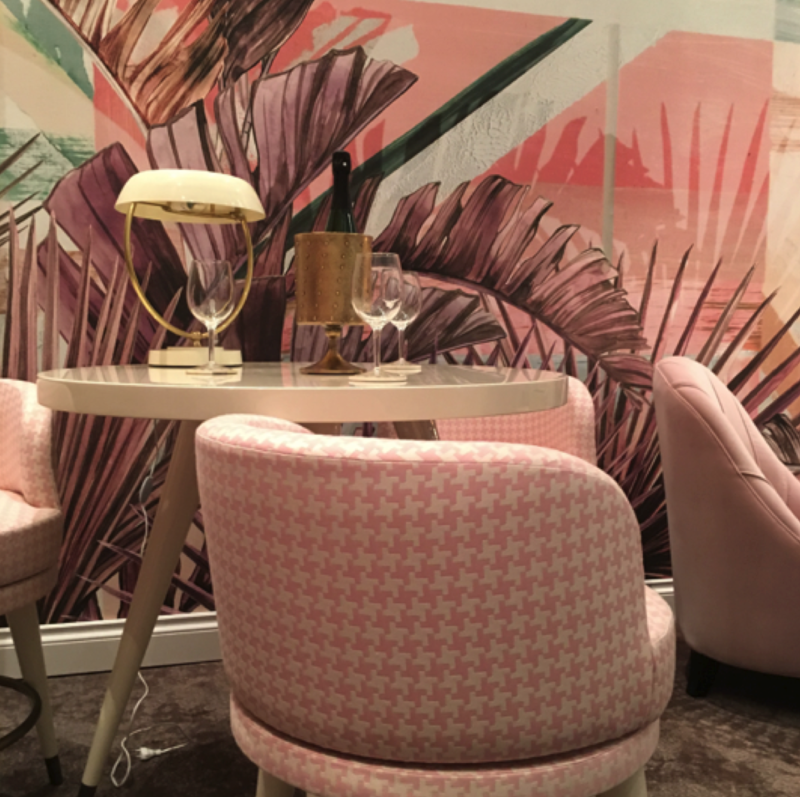 It will be some sort of grown-up shabby-chic environment where a pink velvet sofa will have deep patterned green foliage wallpaper behind it. Creating a harmonious balance will be a ‘Mix and Match’ of soft furniture from different brands with different colours, texture and heights. It’s fun, it’s cool, it works if it is done properly and with good taste. Gold is back with a vengeance! 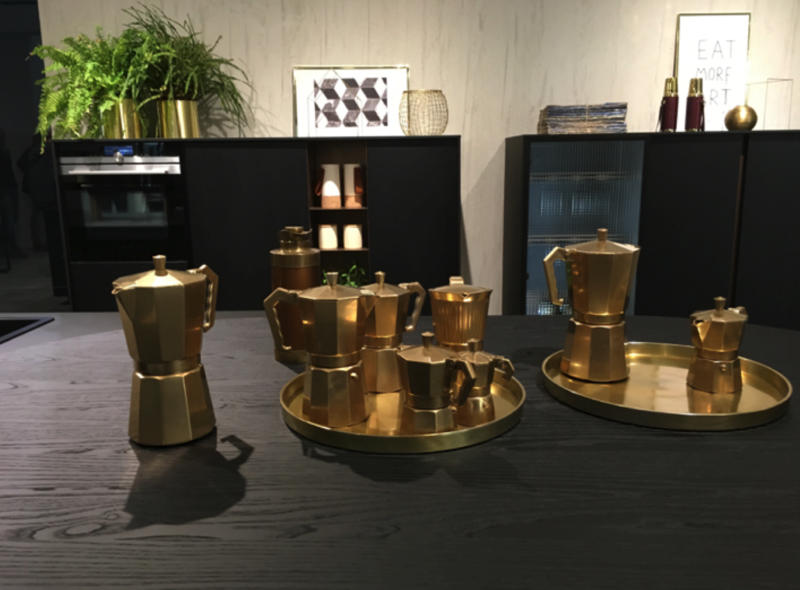 In fact, we will go through another ‘Golden Era’, a very sophisticated Golden Era, meaning that gold will remain a strong element as an accent rather than being in your face: gold with soft washed sheen in small details rather than having a full gold galore scheme. 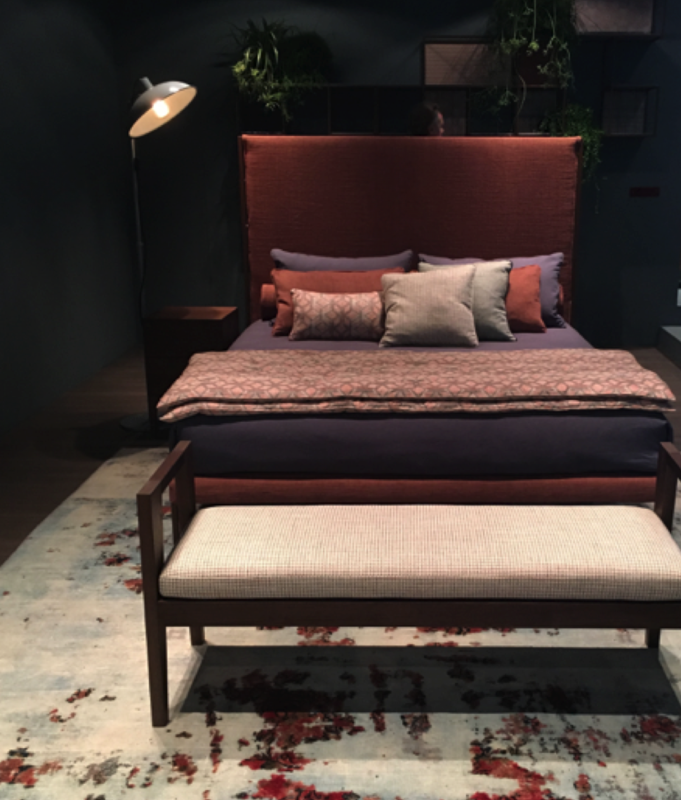 Style references will hark back to the 70’s with deep somnolent colours such as burgundy or terracotta and revive key materials including velvets, dark woods, metal finishes and opaque glass. 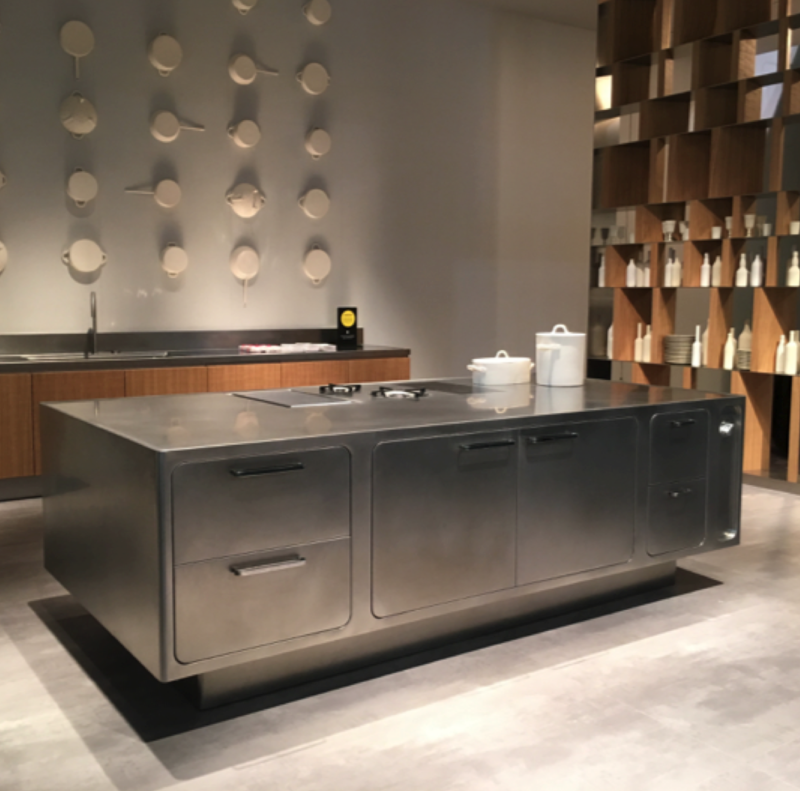 Metal finishes will dominate the scene everywhere: kitchens, tables, basins, splashbacks, extractor hoods, wardrobes, stools, veneers, you name it. 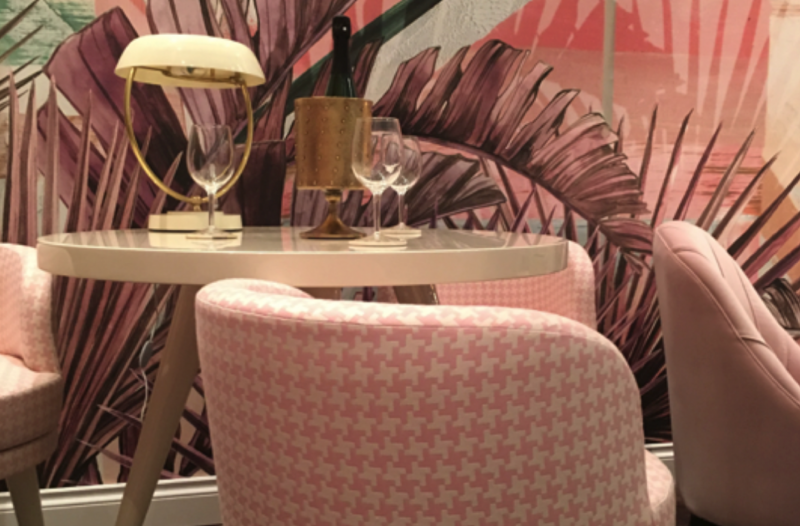 Trends are crucial in our industry and we love helping clients to be on top of their game, especially when they need to redesign their offices, restaurants or hotels. If you need any help with your project feel free to get in touch with us.